Existing members do not need to re-register. Please note that payment is by cash or cheque only. We are unable to accept payment by credit or debit card. 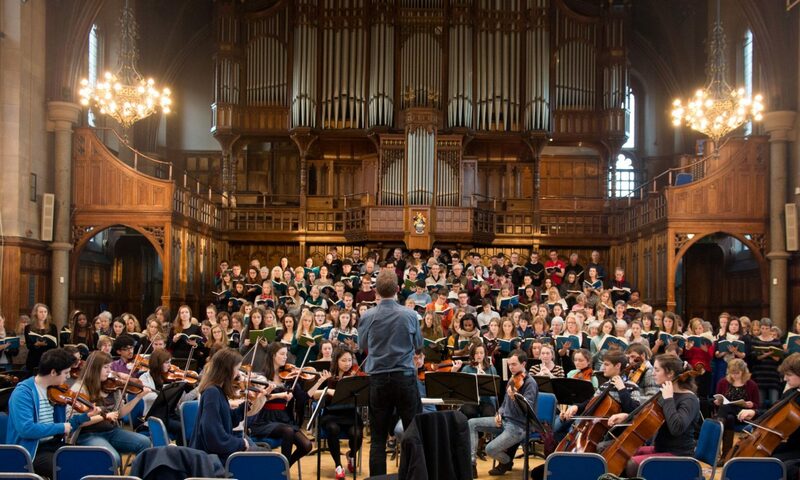 Chorus is open to everyone – students at the University of Manchester and members of the wider community. You don’t need to have sung in a choir before and there are no auditions – all we ask is that you attend rehearsals, are available to perform in concerts and can read music. For the 2018 – 19 season, rehearsals will be held on Thursday evenings from 7.00 – 9.15 at the Martin Harris Centre. Please arrive by 6.45. Valid excuses for absence will be taken into account, so please contact the membership secretary by 5.30 at attendance@universitychorus.org.uk if you can’t make a rehearsal. Members can borrow or buy copies of music to be performed from Chorus. Members are individually responsible for copies loaned to them and these copies are to be returned immediately after concerts. If you forget your copy of music for a rehearsal, it may be possible to borrow a copy for that rehearsal only. This is done by leaving a returnable deposit of your student card or equivalent form of ID with the librarians.